While transit service works for some, too many of our residents can’t get where they need to go in a reasonable amount of time. 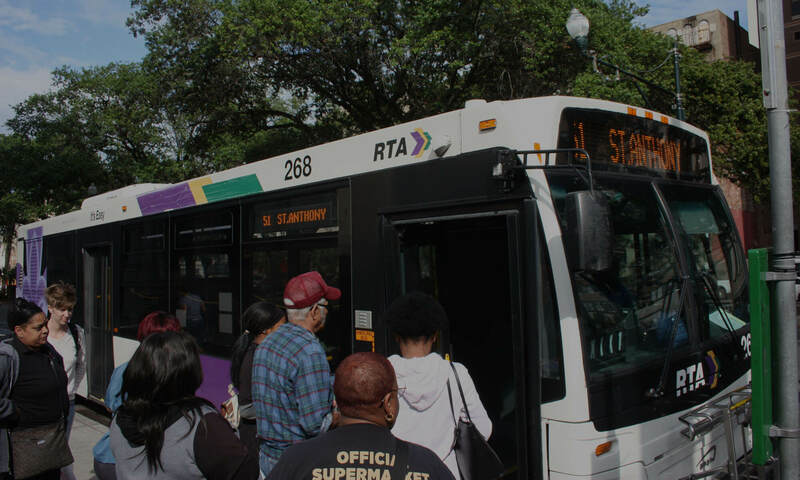 The average transit-reliant New Orleanian can only reach 12 percent of the region’s jobs in 30 minutes or less. We have an interdependent, regional economy, but our transit system stops at the parish line, meaning too many jobs are out of reach for residents – no matter where they live. Major transit investments like the Rampart/St. Claude streetcar haven’t helped improve access – especially for residents outside of our central neighborhoods. Region-wide, world-class, and equitable transit that gets residents to jobs and other important places quickly and reliably. Prioritize and fund community-supported improvements that increase frequency, reliability, and connectivity. Build convenient and seamless regional transit lines that get residents where they need to go quickly, no matter where they live. We work directly with riders through our grassroots rider-led organizing arm, the Coalition for Quality Transit, to build a stronger transit rider voice. Donate! Your support keeps RIDE’s campaigns for better transit moving!